Make drinking loose leaf tea hassle free! Simply spoon in your favourite Tea Crew blend and pop it into your cup or teapot. No need for a holder and no more tea leaves in the sink! When you're finished you can even compost them with the tea! Made from 100% sustainable paper, there's no bleaching, no chlorine, just natural paper with no impact on the environment. 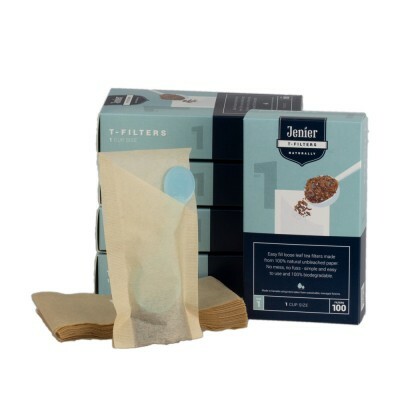 Each pack contains 100 t-filters.